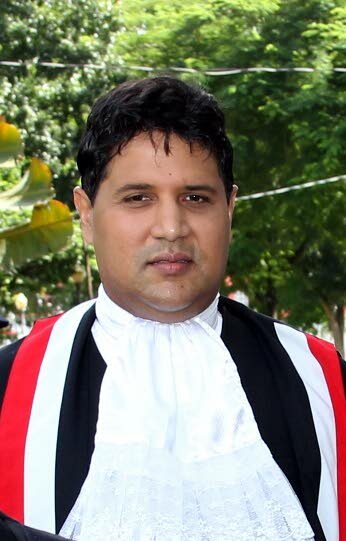 JUSTICE Frank Seepersad has granted an interim injunction for a business partner to operate at four popular salons in San Fernando. Anand Matadeen filed an application in which he accused popular hairstylist Raymond Mark of locking him out of the residential and business premises. Both are located on the same compound at Riverside Drive, Gulf View Link Road in La Romaine. Mark and Matadeen are joint shareholders of four businesses namely Salon II by Mark Ltd, Salon One by Mark Ltd, Salon III by Mark Ltd and Forever Young Med Spa and Salon Ltd. The application came up for hearing on Wednesday before Seepersad in the San Fernando High Court. In the application, filed by attorney Nabilah Khan, Matadeen is asking the judge to allow him to occupy the upstairs apartment and be given the keys and access codes for the residential and business premises. Matadeen is also asking that he be granted permission to operate at the business premises and to be given access to all accounts. He also wants to be reinstated as managing director of the businesses. Matadeen accused Mark of changing the locks to the building which they shared. After listening to submissions from attorneys representing both men, Seepersad ordered that Matadeen be given access to the businesses and be allowed to work there between 8 am and 6 pm daily. He, however, did not grant permission for Matadeen to return to the residence which, Seepersad said, is owned by Mark. The judge said Matadeen should be allow to retrieve any personal items he may have at the house but Mark, through his attorney Aleema Ramjag, said Matadeen’s belongings had already been dropped off at his parents’ home. A case management hearing is to be held on April 26. Reply to "Salon owners war in court"